You don't have to pay for it, and it's available on more gadgets than you'd get with just a TV antenna. NEW YORK — You canceled cable long ago. Your TV antenna has trash reception for ABC. But you want to host an Oscars viewing party. What to do? A newish, under-the-radar option is Locast. It’s like an app version of a $50 antenna you can get from Best Buy, and it’s free and easy to use. For someone like me, weaned on Netflix, Locast is too simplistic to be a major part of my TV addiction. It’s a stopgap, excellent the few times a year when I want to watch what everyone else is watching, at the same time they watch it. But it’s useful for those who regularly watch TV live – sports lovers, devotees of morning shows like “Today,” “Bachelor” fans who live-tweet each episode. You don’t have to pay for it, as you do with cable, and it’s available on more gadgets than you’d get with just a TV antenna. For those who don’t have a TV, it’s one of the easiest ways to watch over-the-air stations for free. Locast makes local stations available for free, in real time, online. You can watch on its website, locast.org, or on apps for iPhones and Android phones. A Roku app or sharing from your phone with Chromecast or Apple’s AirPlay lets you stream to the TV. In New York, I get stations for ABC, CBS, Fox, NBC, CW, PBS, Univision, Telemundo, Ion and a handful of others. Cable channels like ESPN, MTV, Bravo and Fox News are not available free on the public airwaves. You generally have to pay for them. You can start watching as soon as you let Locast know your location and sign in with your email or Facebook account. A basic TV guide tells you what’s on now and the next six days. Audio and video quality is good. I haven’t had issues with buffering or shows not loading. The internet’s abundance of video – hi, YouTube; hi, Netflix – has pushed millions to cancel cable TV and diminished the appeal of live television. Some people (the young) barely watch, except for special circumstances like the Super Bowl or the Oscars. But many are still dedicated to “The Late Show” each evening and as much NFL football as they can get. Locast fits into a crowded field of devices and services aiming to replace or complement cable. There are cable-like streaming services like YouTube TV, DirecTV Now or PlayStation Vue, which offer packages of TV channels, typically for $40 or $45 a month. Hulu and apps from the likes of ABC and NBC post episodes online in the days after they air. Netflix and Amazon Prime have whole seasons months after they’re on TV. You can also buy a TV antenna and hope for good (free!) reception of local stations. You need to live in one of the seven markets where Locast has set up antennas – Boston, Chicago, Dallas, Denver, Houston, New York and Philadelphia. Locast will announce two more cities Thursday. Further expansion depends on whether Locast can raise more money. I’ve gotten used to watching shows at my leisure, and Locast doesn’t fit in with that. There’s no digital video recorder, or DVR, to let you watch shows later. There’s no skipping commercials, no binge-watching, no customization, no recommendations of shows I’ll like. For sports fans, there’s a lot missing. You can get baseball, football and other games from over-the-air channels, but no “Monday Night Football” (on ESPN) or the cable channels that televise hometown-team games. For the March Madness college basketball tournament, you’d just get the games on CBS, not TNT, TBS or truTV. A few years ago, a startup called Aereo tried to offer local broadcast stations over the internet. Broadcasters sued and won, forcing Aereo to shut down in 2014. 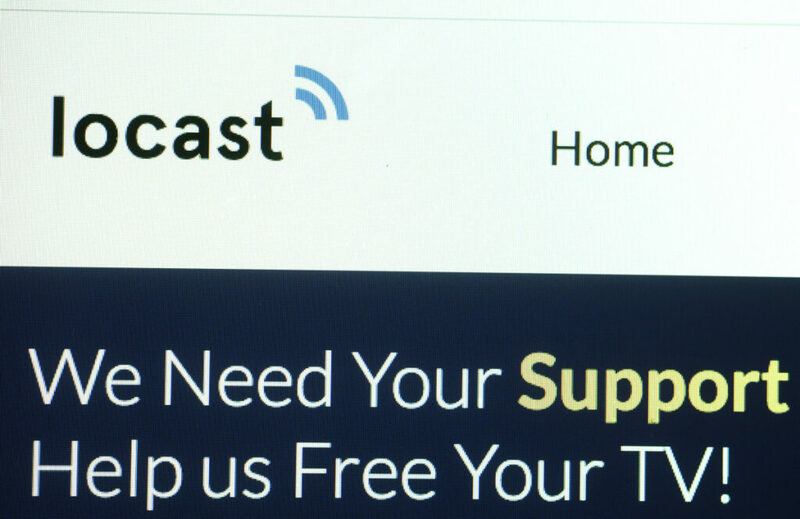 Locast has been around for about a year already and may have found a legitimate loophole because it’s a nonprofit, as federal law says nonprofits can retransmit broadcasters’ signals without violating their rights. The National Association of Broadcasters, which represents TV and radio stations, declined to comment. Even so, there’s the issue of money. Locast currently runs on a loan from an undisclosed person. Its backers, a sports-fan advocacy group simply called the Sports Fans Coalition, hope user donations will fund the service. But it’s hard to persuade people to part with their cash – especially for the cash-conscious cord-cutters who have found themselves in subscription overload with Netflix and Amazon Prime, not to mention music, news, specific sports leagues, meal kits, makeup and wine.